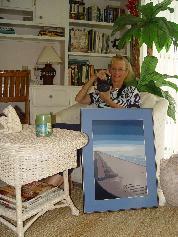 First exhibiting her “Fine Art Photography” in 2004, Florene’s work frequently appears at most of the league and association shows in Lee County. 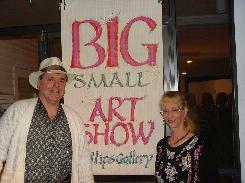 Her work has been juried in to statewide exhibits in “Big Arts” on Sanibel, 2D/3D at the Alliance for the Arts, the Millard Sheets Gallery in Pomona, CA, the Von Liebig Gallery, and Gallery One in Naples, and also at Rookery Bay in Collier County, among many others. Numerous ribbons adorn the walls of her studio. Nominated in 2006 by the Alliance for their “Angel of the Arts Award” as best new artist of the year; she was also chosen as one of 19 artists to produce commissioned work for permanent display at the new $600 million Oasis complex in Fort Myers. Two pieces now hang in the lobby of Tower Two, and one in Tower One. Florene's piece "River's Last Light" graced the cover of the nationally distributed 2007 calendar of the Charlotte Harbor National Estuary Program - and five of her works have recently adorned the covers of "The Adverse Witness" a publication of the Collier County Bar Association. Her work has also appeared in Gulf Coasting, and Lee Magazines. 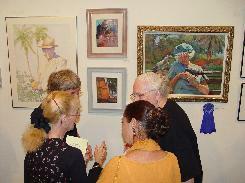 Three of Florene’s works were juried in to “Art In Flight,” on public display at Southwest Florida International Airport through 2009. In fall of 2007, Florene along with other founding members opened Harbour View Gallery, overlooking the elegant marina in the "destination community" of Cape Harbour. Her work also resides at the Arts for Act Gallery, The Alliance for the Arts in Fort Myers, with selected pieces featured at Pine Bay Gallery in Matlacha’, Sanibel Art & Frame Gallery and Cape Coral Art & Frame among other venues. Her work has also appeared at Florida West Arts in the International Design Center in Estero and at Koi & Krane Gallery in Fort Myers. 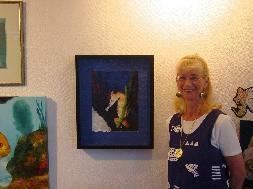 Florene’s work is in private collections in Florida, California, Vermont, Pennsylvania, Austria and The United Kingdom. She received her 1st camera at age 9, a Kodak brownie. While growing up in California, her family liked to travel. She was able to explore the 48 states, as well as Mexico and Canada photographing every chance she got. After moving to New York and raising a family, she and her husband continued their travels, visiting Hawaii, the Caribbean and Europe, all of which added to her appreciation and love for art. With experience came a deepened love of color and texture, which led to a career in interior design and visual display. Relocating to <?xml:namespace prefix = st1 ns = "urn:schemas-microsoft-com:office:smarttags" />Florida in 1990, Florene continued her design work and exploration of different art forms. By the end of the decade, her design work ended but a new phase had begun. She rediscovered her love of photography by picking up an older camera with no manual; and using it differently from the way she had been taught. Wow - what a revelation! Knowing the basics, she was now free to break the rules and use her creativity to make some startling images. Another decade and many cameras later, she is still ‘breaking the rules’ and experimenting with new techniques. Her passion shows in her work.<?xml:namespace prefix = o ns = "urn:schemas-microsoft-com:office:office" /> People usually ask, “How did you do that,” since she rarely uses computer enhancement or alteration. Some of her work appears to defy logic. Motivated to give back and share (some of) the ‘secrets,’ Florene is now an instructor at The Alliance for the Arts, The Cape Coral Arts Studio and Creative Photo; as well as having several private students who have already won awards and sold work using her techniques.